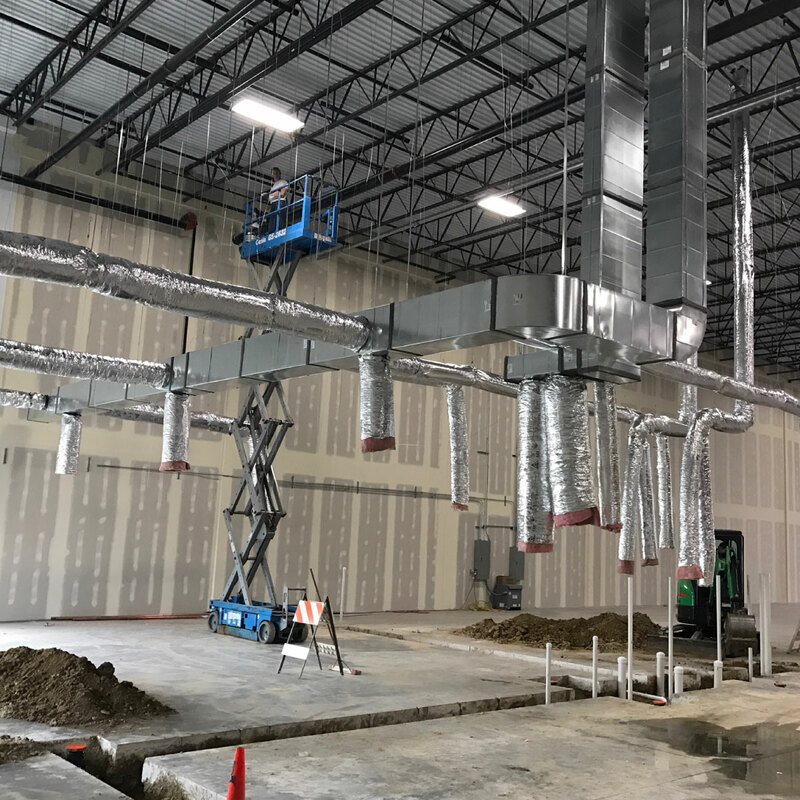 Our experienced sales team and office staff designed and installed a custom dust collection system for Rogers Corporation in Carol Stream. 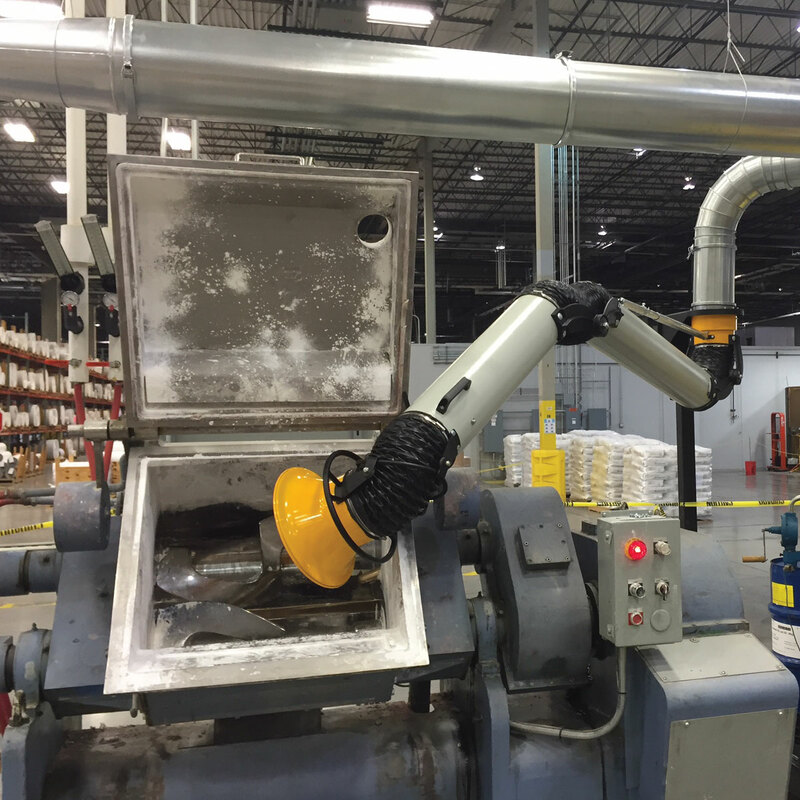 This system features floor-mounted extraction arms and a custom table-top hood for optimal dust removal. 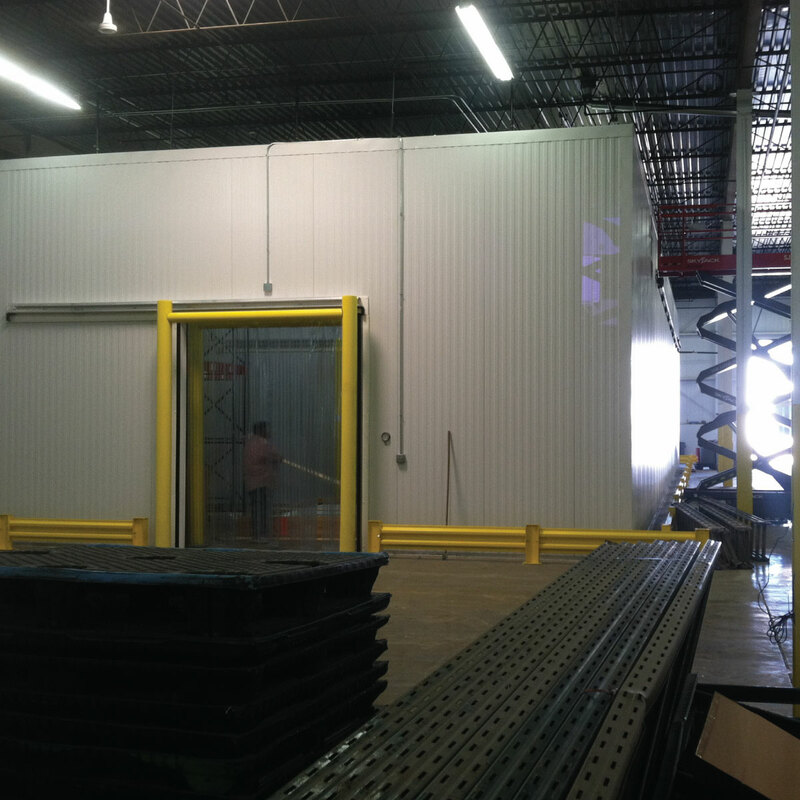 Our team installed a 2700 sq. 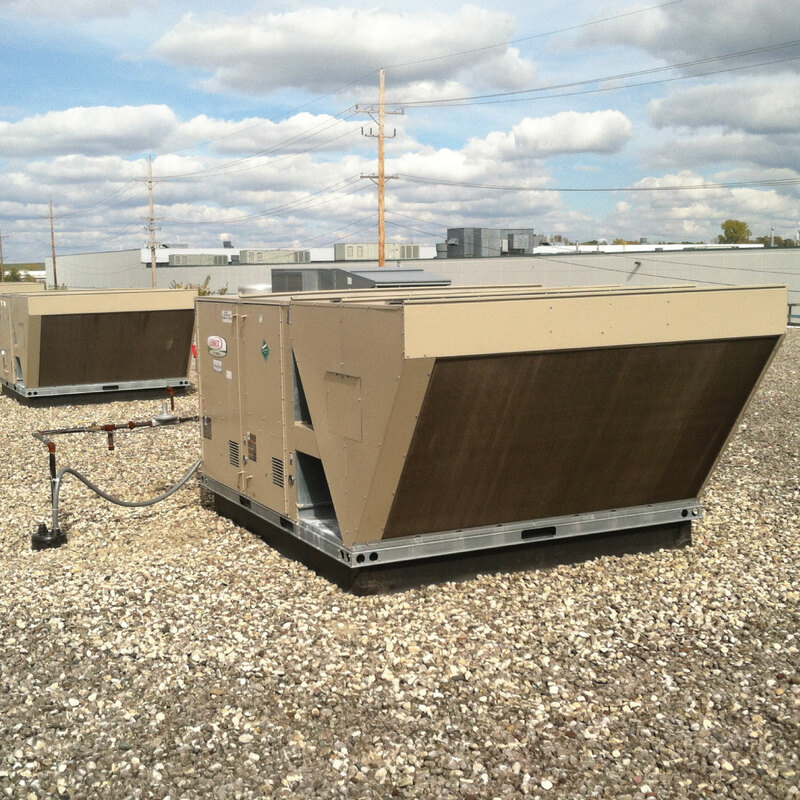 ft. drive-in cooler with new refrigeration piping, condensers, and evaporators for Market Day in Elk Grove. 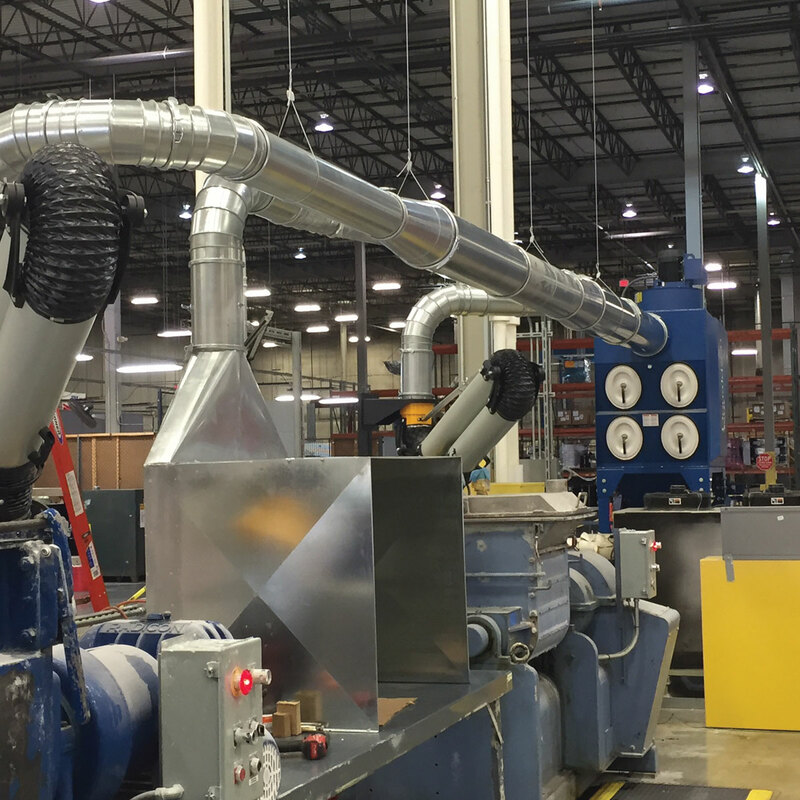 Our team designed and installed a ventilation system for a chemical manufacturing laboratory in Elk Grove. 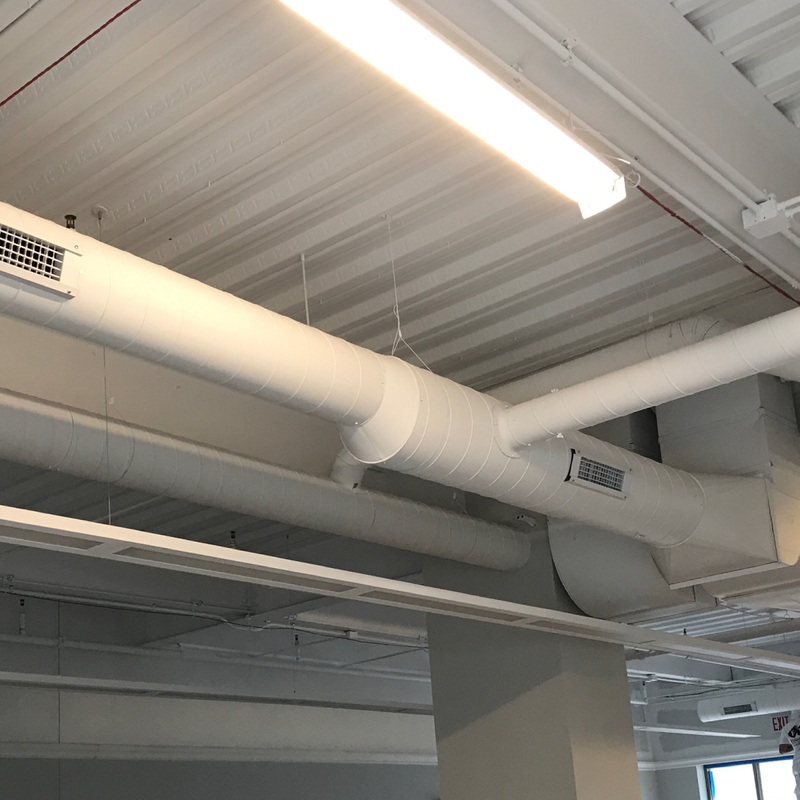 This system features six ceiling mounted extraction arms and two table-top hoods. 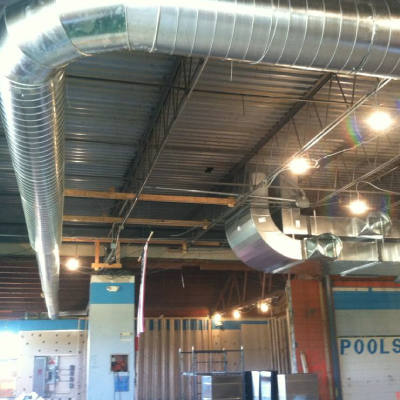 We performed a complete overhaul on a 300,000 sq. 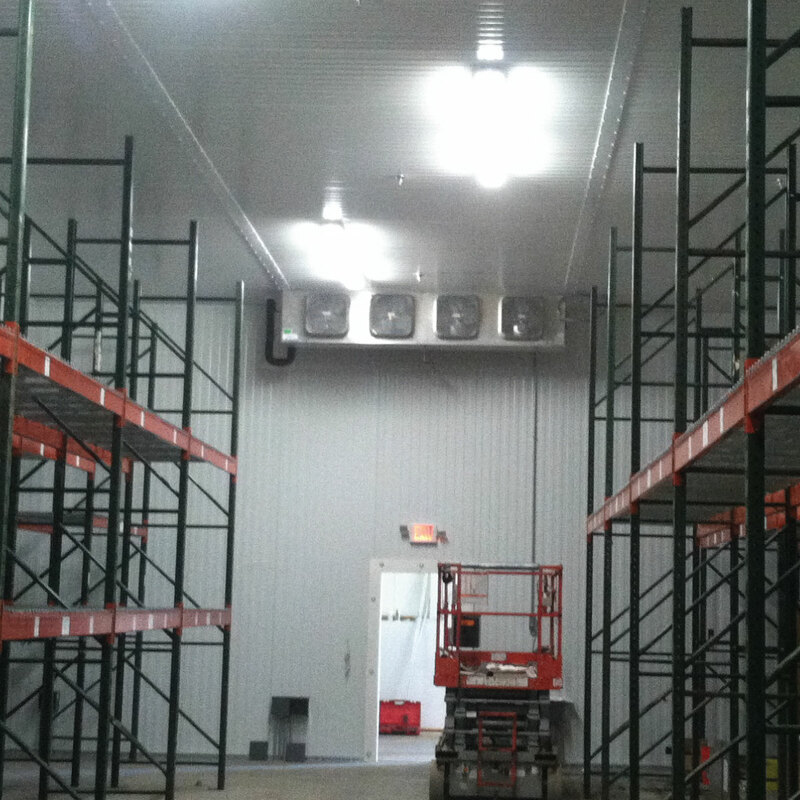 ft. distribution facility in Carol Stream. 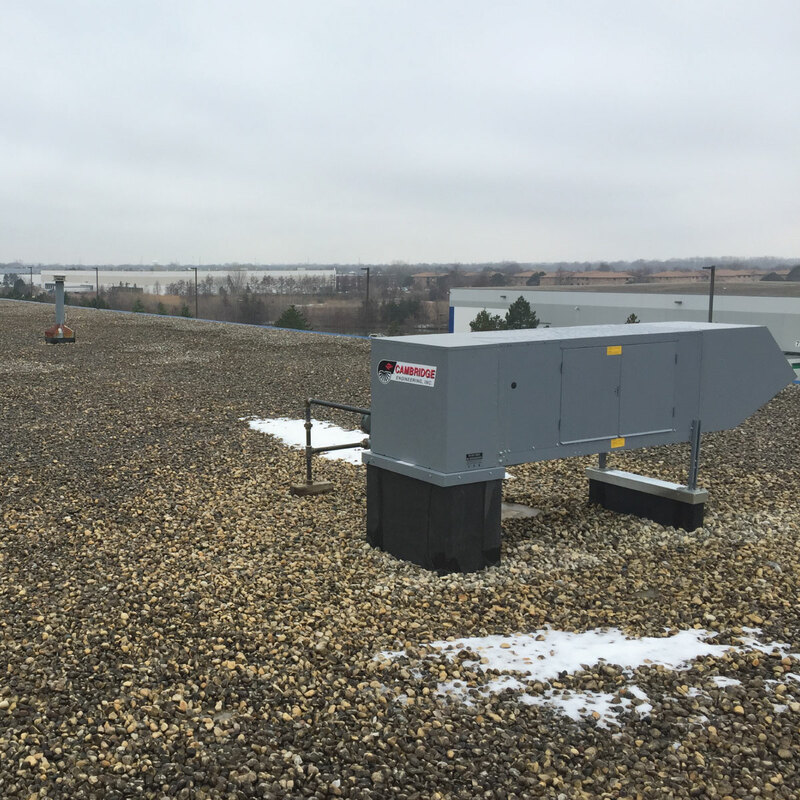 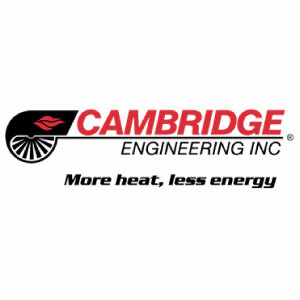 Solutions Mechanical removed 25 suspended heaters and replaced them with eight energy efficient roof-mounted Cambridge space heaters. 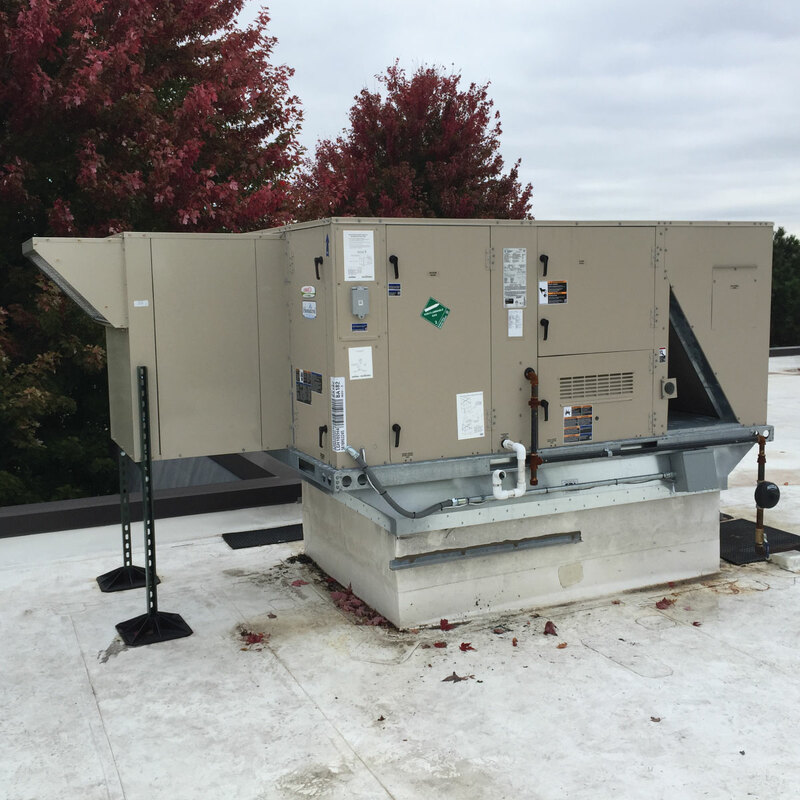 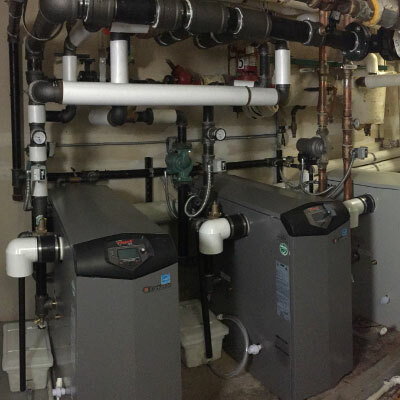 Solutions Mechanical installed four custom Lennox rooftop units for a retirement community in Wheaton. 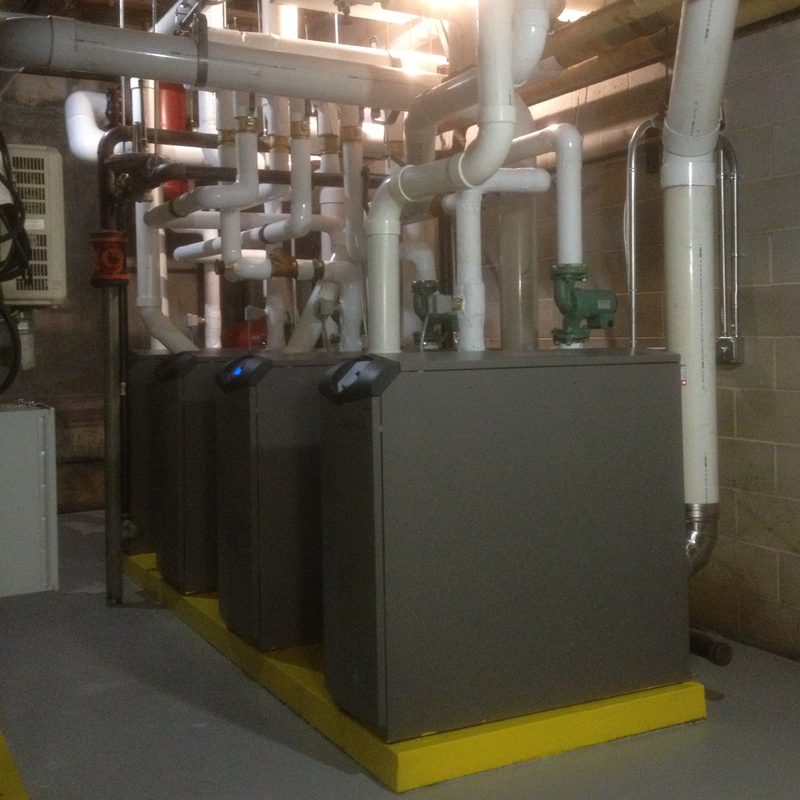 This dedicated outdoor air system controls all common areas within this two story building. 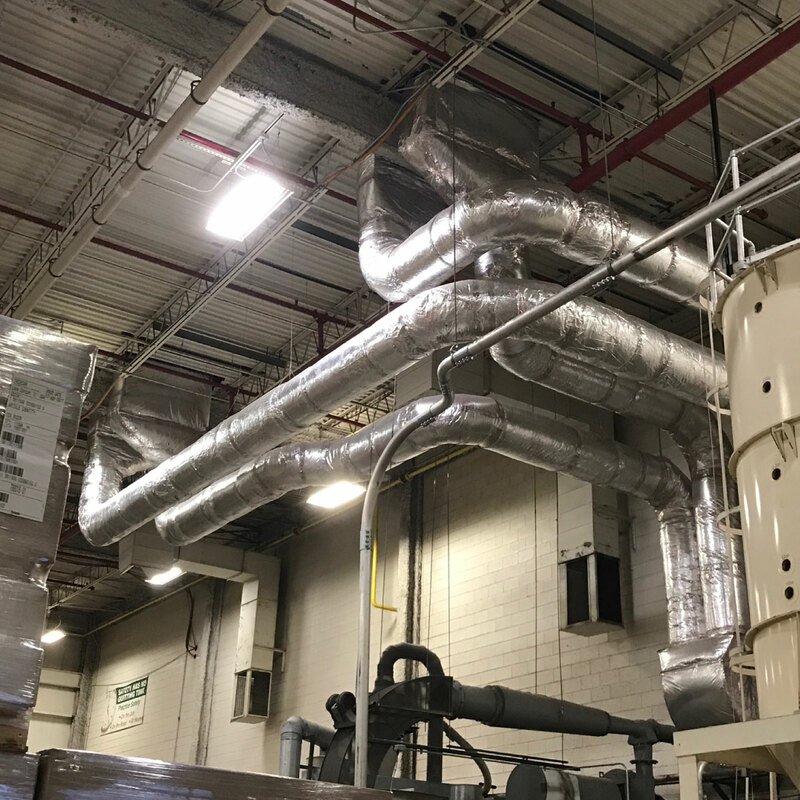 Our experienced sales team and office staff designed and installed a custom system for a large-scale printing service in Batavia. 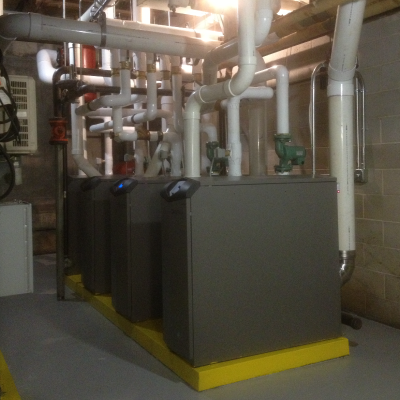 Our client required temperature and humidity control. 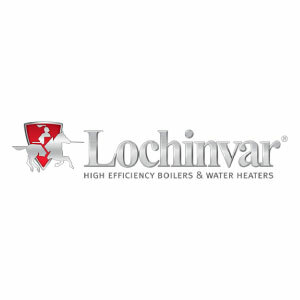 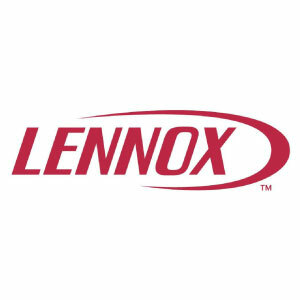 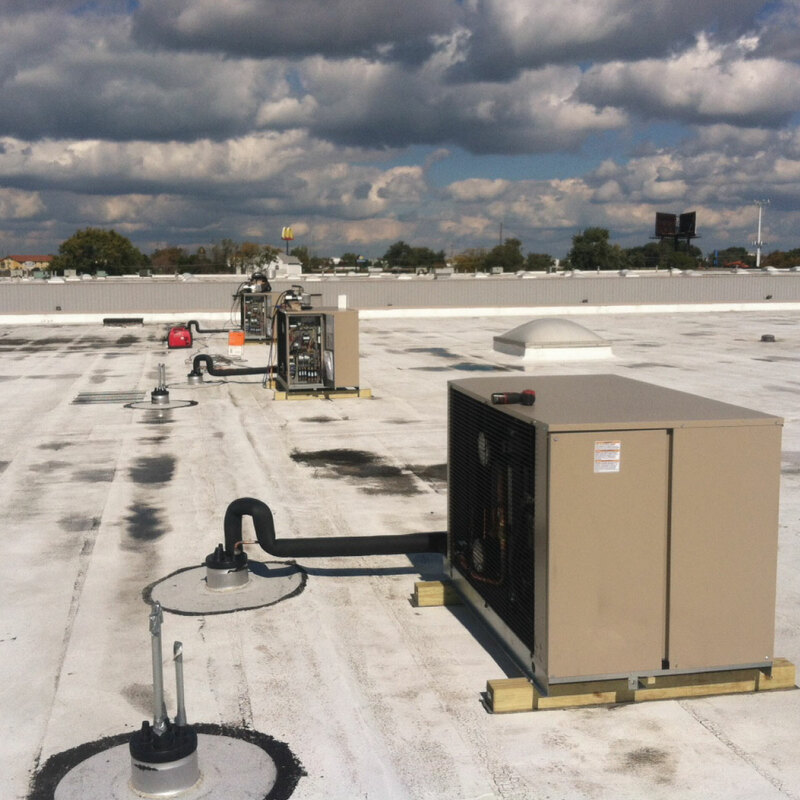 We met their needs with three Lennox rooftop units featuring concentric diffusers. 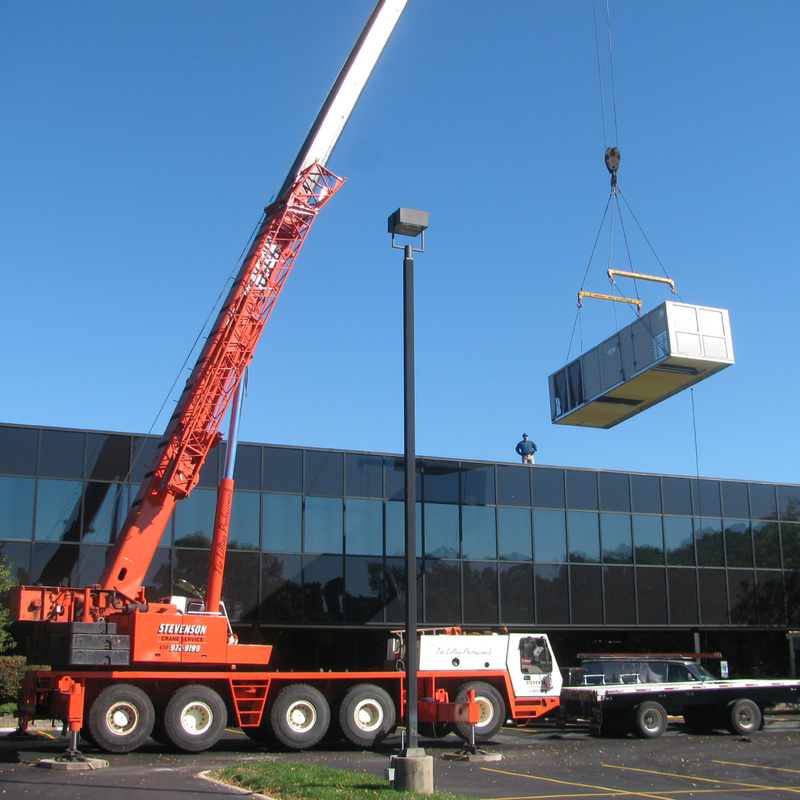 The Solutions Mechanical team replaced a 50-ton packaged rooftop unit for this 3-story office building in Downers Grove. 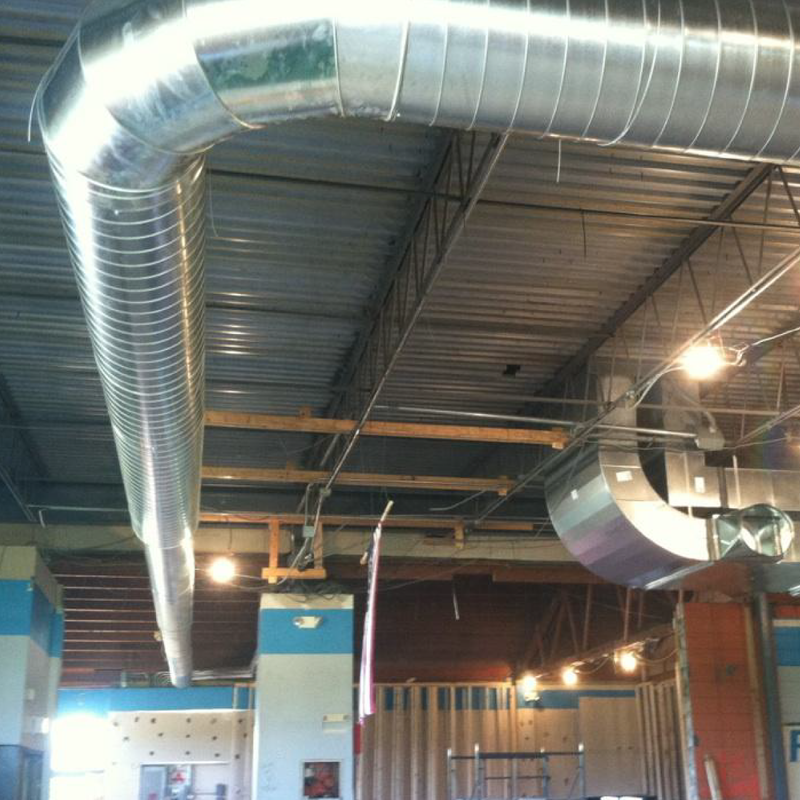 We designed and installed ductwork for a new office building located in Woodridge. 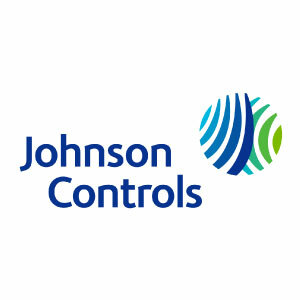 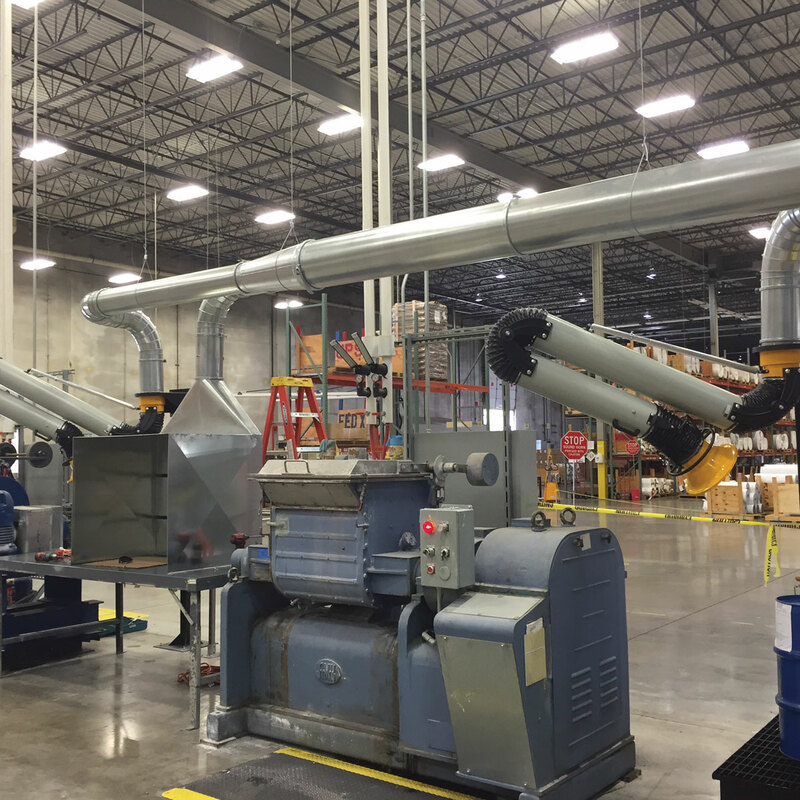 Our certified technicians installed custom ductwork for a manufacturing facility in Lake Zurich. 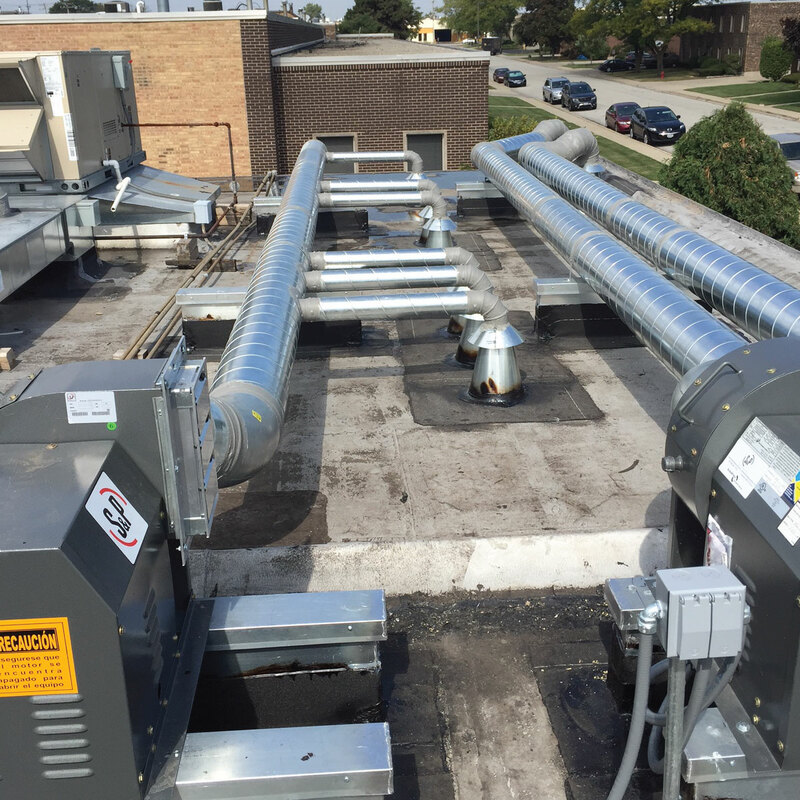 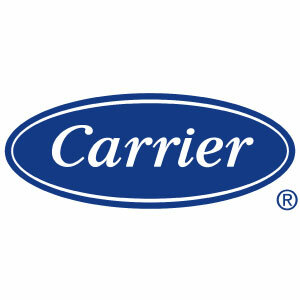 Solutions Mechanical’s technicians installed ductwork for luxury retailer Kaehler Luggage in Hinsdale. 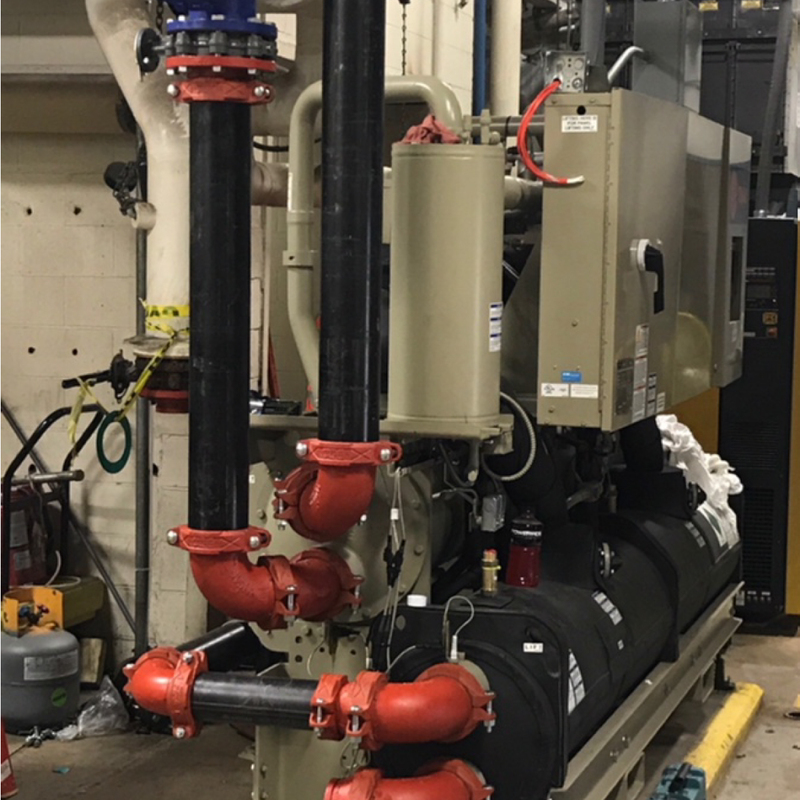 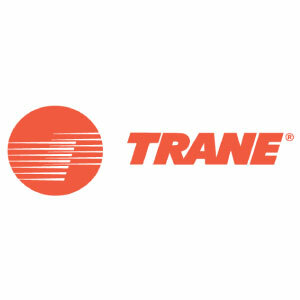 Our team installed this Trane water-cooled chiller for a manufacturing facility located in Lake Zurich.